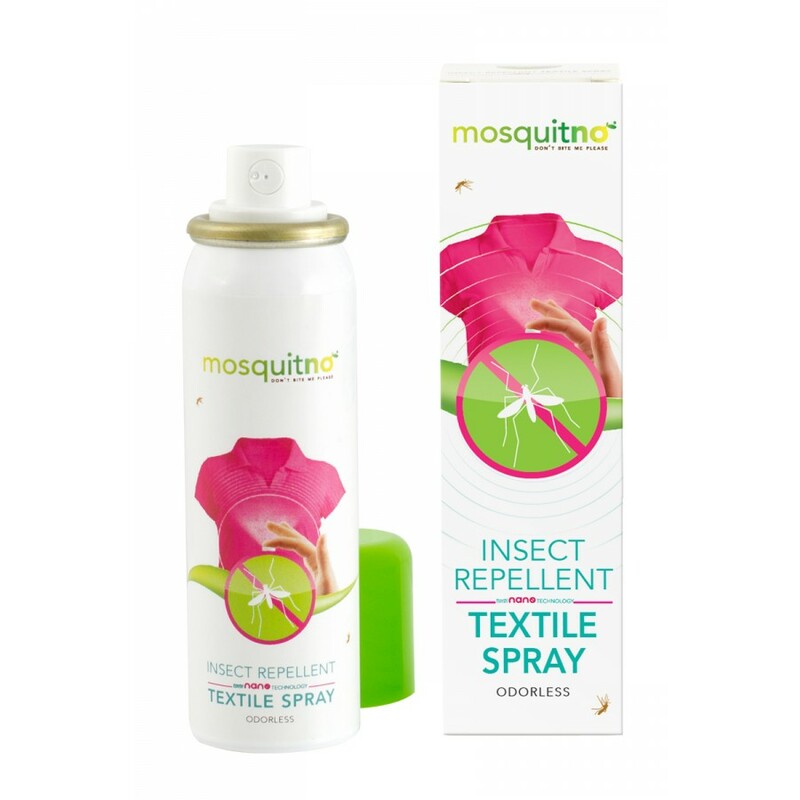 Spray the 50 ml Textile Spray on fabric surfaces before the dressing and it protects you for 3 months or 1 washing against mosquitoes. You can use it for any type of textile from bed linnen, to curtains, socks, pajama, t-shirt, polo shirt, towels and more. This innovative Textile Spray protects you against all mosquitos and a lot of other dangerous insects! Like: Aedes aegypti, malaria mosquito - anopheles gambiae, aedes aedes, sand flies, black flies, deer flies, stable flies, aedes albopictus, culex quinquefasciatus. Spray your curtains and you are protected for the whole summer! 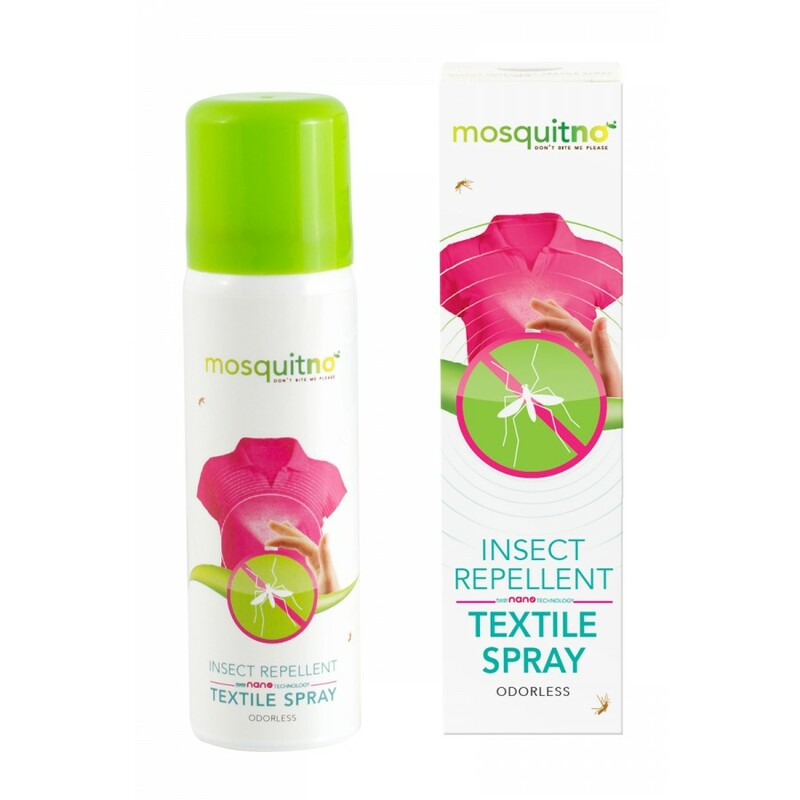 MosquitNo Insect Repellent Textile Spray based on New Nano Technology. Minimum spray distance 30cm. Spray on fabric surfaces before the dressing. 3 months or 1 washing. 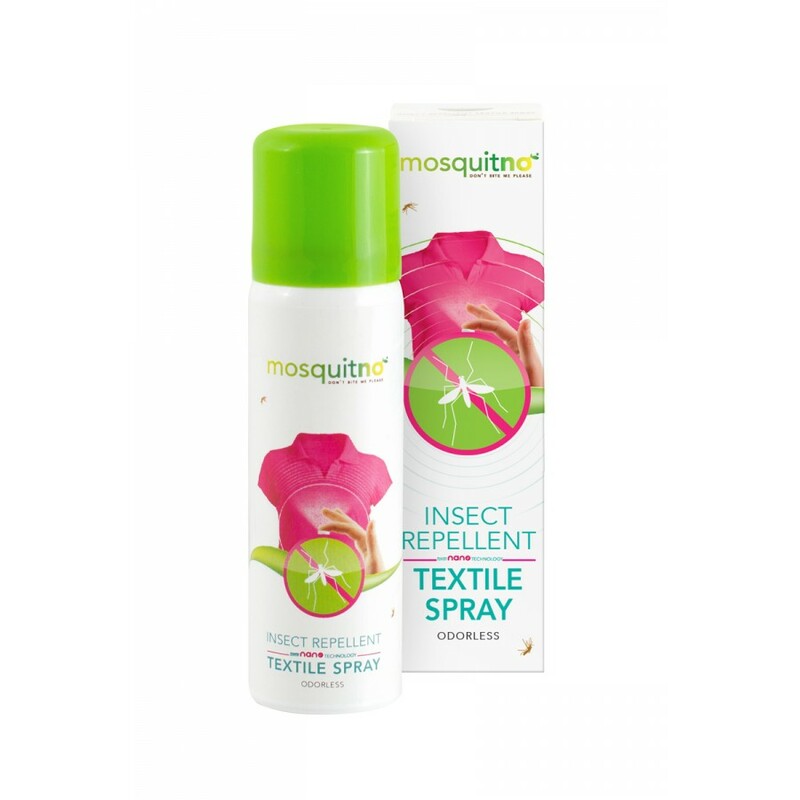 Enough for 50 anti insect textile treatments of clothing. FOR WHICH INSECTS DOES IT WORK? Aedes aegypti, malaria mosquito - anopheles gambiae, aedes aedes, sand flies, black flies, deer flies, stable flies, aedes albopictus, culex quinquefasciatus. You can use it for any type of textile from bed linnen, to curtains, socks, pajama,t-shirt, polo shirt, towels, shoes and more. Do not use on natural or synthetic leathers. USE: Keep away from heat/sparks/open flames/hot surfaces. No smoking. Pressurized container: Do not pierce or burn, even after use. Do not spray on an open flame or other ignition source. Protect from sunlight. Do not expose to temperatures exceeding 50°C/122°F. INGREDIENTS: IR3535 Ethyl Butylacetylaminopropionate, silica particles, absolute ethanol. DANGER: Extremely flammable aerosol. Pressurised container: May burst if heated.